Fastlane or Unscripted? Which first? Discussion in 'Education, Learning, Books' started by MJ DeMarco, Aug 11, 2017. Which book should be read first, TMF, or UNSCRIPTED? After a few months post release, it's clear that many folks are reading UNSCRIPTED first (and not even knowing TMF exists) and then finding the forum. So my question is, for those of you who read UNSCRIPTED and TMF (BOTH) and feel one or both are recommendable, which book would you recommend is read FIRST? 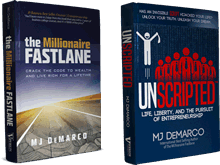 But after finally finishing Unscripted, I have to say it is a much better book than Millionaire Fastlane. I agree with this statement above which is why I recommend that UNS goes first, and it has a less objectionable title. Could be a recency bias on my part however. Please vote and let me know, gracious! Roz, Supa, TheCj and 10 others like this. My vote is to read Unscripted first. Roz, Santi Merino, Supa and 7 others like this. Unscripted covers the big concepts of Fastlane, and like I said - is a much better book. 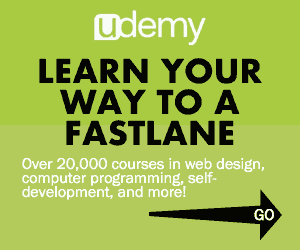 I would definitely recommend it first, with Millionaire Fastlane second to dive deeper into that portion. Santi Merino and Nigel B like this. Unscripted stands alone and I agree that overall it is the better book. That said, I would recommend to anyone new that they read TMF 1st. My opinion is that it's an easier read and covers all of the fundamental topics without confusing the reader. I LOVE Unscripted but, the 1st time through I personally found the graphics distracting and some of the new terminology a bit hard to grasp. I can only imagine it would be harder for someone not familiar with your work. vth, 100k, grindmode and 6 others like this. I may be in the minority in saying that I liked TMFL more. That may be because I had much more business experience by the time I read UNS, and so the first one felt more useful to me. If asked I would say TMFL first, but read them both (no matter the order). Romeo D., lewj24, ZF Lee and 4 others like this. ...I LOVE Unscripted but, the 1st time through I personally found the graphics distracting and some of the new terminology a bit hard to grasp. I can only imagine it would be harder for someone not familiar with your work. I had the same thought when reading Unscripted. cmor16 and jpanarra like this. I read TMFL first, and it was an eye opener. Just enough mindset to get you started, and the CENTS framework encapsulates the essence of good business. It's also a much shorter read. The probability of someone finishing TMFL is probably higher, and so I recommend it first - despite how great a book unscripted is. Over, TheCj, grindmode and 5 others like this. To my sister (Office drone) Unscripted. To my cousin (Struggling entrepreneur) TMF. Roz, FMJJ, TheCj and 4 others like this. I would say read TMF first. However, if I could only read one of the books it would be Unscripted. Romeo D. and cmor16 like this. and it has a less objectionable title. I'll tell someone that "this business book I know of changed my life" and their eyes will brighten up and they'll lean in interested but the second I say "it's call the Millionaire Fastlane" they immediately lose that spark of interest and look at me like I'm selling snake oil from the back of a white van marked "free candy". One of the best books on business I've ever read and I still recommend it all the damn time but the title is a really effective non-starter for some folks who may otherwise have given it a chance. Which pains me to say, it really does. UnrealCreative, akotu, TinyOldLady and 8 others like this. TMF is like an appetizer, it has all the right ingredients of a meal, and it's enough to satisfy you for a little while, but eventually it just makes you hungry for more. Unscripted is the full meal deal. Nemolein, Romeo D., ZF Lee and 1 other person like this. I finished TMF a while ago and am one third through Unscripted. quadier mackey, TheCj, B. Cole and 5 others like this. Unscripted first, based solely off the title and cover copy. Roz, Romeo D., Nily and 3 others like this. Millionaire Fastlane is a better intro book to entrepreneurship it just needs to come with a strong personal recommendation to get over the hesitancy about the title. I preface my recommendations with: "I know the title might sound a little corny/scammy. BUT trust me it is the complete opposite. The author nukes MLM, Pyramid schemes, get rich easy, scams, etc. and basically explains how a successful business owner THINKS about business and their time. No exact steps either." Honestly, I think people are much more inclined to buy it because I have to explain my reasoning. Everyone I've told about it loves it... no one is taking action, but that's fairly typical tbh. At least they got a new lens. grindmode, Romeo D., Iammelissamoore and 1 other person like this. In reading both books, I still believe TMF should be first and then Unscripted. I found that TMF was a wonderful introduction for people looking to make the mindset change required for business, thus, it introduces the individual to the possibilities of not only going into business, but the possibilities of creating mind-blowing success - which is usually a far-fetched thought for many people. I found Unscripted was a beautiful continuation of the introduction received from TMF, as Unscripted goes a lot more in depth with the philosophies introduced in TMF. TheCj and Romeo D. like this. I would say TMF for one reason: It had more of your origin story. This gave the book credibility, which then carried over into UnScripted. Probably depends on the person. UnScripted is definitely broader. Roz, Over, Tommo and 8 others like this. I vote for TMF first. In my case, I got the UNSCRIPTED, possibly as a result of reacting to some ad, started reading it and then found out about the TMF. So I got the TMF Kindle version and then the Audible version as well, or maybe vice versa. I actually liked the title, maybe because I am not overfed with this kind of literature, I am quite selective. So I got the TMF and only after reading it (no, not reading, listening on Audible) returned to the UNSCRIPTED. To be honest, the way how TMF started was a bit repetitive. But when it came to describing the Fast Lane, it got me ignited, I resonated with it very strongly. So I did enjoy the book. I am now in the second half of UNSCRIPTED and there are a few very valuable insights indeed, my favorite is about delivering value, but as I am not an American, all the 401k and stocks investment info is of no interest to me. I am still hoping that something powerful will kick in soon, as it did with TMF. Romeo D. and Iammelissamoore like this. You know, this is probably the reason that "How to Get Rich" by Felix Dennis is one of my favorite business books. It's like 70% biography and 30% advice but it all feels incredibly real and makes you really trust everything being said. Tommo and Thoelk like this. I read Unscripted First and then TMF. I feel that this is the appropriate order. Both books are excellent and they are not redundant. Both books should be read. I almost didn't read TMF because you said in a podcast interview that Unscripted stands on its own and I mistook this to mean that it is all inclusive, meaning that TMF does not have to be read if I read Unscripted. I understand that you do not want to come off as doing a hard sell for your books in podcast interviews, but I would recommend highly that if someone reads one of the books, they should definitely read the other. It was because the title "The Millionaire Fastlane" seemed so unbelievable that it stood out to me amongst all the other books you see on amazon when you buy one and it shows what other buyers purchased. I clicked on it precisely because it sounded like BS and I wanted to amuse myself. So I did the "look inside the book" thing, found it compelling, bought it, etc. Just wanted to offer that, since I do know that the title turns some people off... but it got me to look at it. I'm only 3/4 through Unscripted so won't weigh in just yet on that question. Screw that. Just finished Unscripted. It's levels better. Read Unscripted first. If you're going to read both? Start with TMF. It's easier and gives a good overall grasp. If you could only read one? Unscripted. It's honestly a better book (although TMF is still fantastic), simply because there is so much. It may be the only business book anyone would ever need to read. It deals with everything. But, that's its problem. It can be a bit scary and threatening because there's so much. If someone is new to entrepreneurship, it can overwhelm them. TheCj, grindmode and Romeo D. like this. I would say Unscripted as well, maybe it is just because it was the first book I have read. It is an inspirational book, it definitely makes you crave for more information which TMF provides. Also, although it is just "judging a book by its cover" Unscripted is a much more approachable title to a lot of people. My vote is TMF first. Tommo and Millenial_Kid5K1 like this.